KATHMANDU, August 21: The trend of opening eateries has picked up in the capital city in recent years, expanding the horizon of the Nepali food service industry. There are many new and happening restaurants around town that people returning from abroad have opened. Some of these entrepreneurs started the business out of their own interest, which they picked unintentionally. The others started with an endless passion for food, combined with their sharpened skills that they acquired from the formal study of culinary arts or their association with the hospitality and restaurant business in Europe, the United States, and east Asian countries. The success of young professionals who have come back to Nepal and utilized the skills earned abroad is quite notable. Alok Yonzon, the co-founder of Dalle, said that his experience in the food industry in Hong Kong encouraged him to invest in food business in Nepal. He established Dalle in 2011, which specializes in momos (Nepali dumplings) with an aim to provide the Nepali customers a different taste of momos. Yonzon, however, said that hike in the prices of imported ingredients sometimes affect their business. 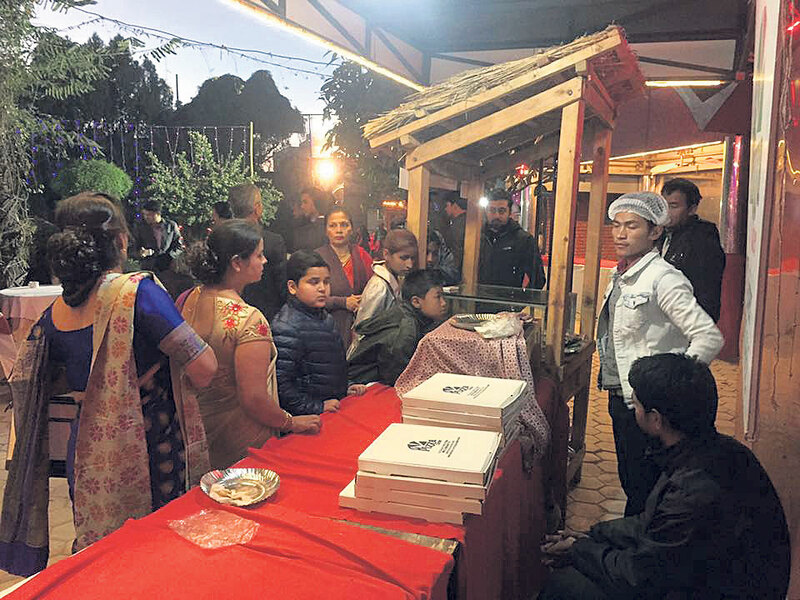 Shailendra Ghimire, one of the co-founders of The Pizza Cutter, said that his familiarity with authentic pizza abroad helped him start the business upon his return to the country. “Right then we decided to start a pizzeria so that we could serve genuine pizza to the Nepali customers,” Ghimire said. “The pizza we serve is American-style, and we prepare all the ingredients by ourselves,” he added. The Pizza Cutter has seven outlets in Kathmandu valley at the moment. Some of the entrepreneurs said they did not find jobs in Nepal to fit their qualifications. They had returned to the country with not only sound experience in the trade but also with international university degrees in hospitality. Sanjeev Shrestha, owner of Wicked Spoon Fork & Rock, studied hospitality in Scotland and returned to the country after spending almost five years there. He applied for different jobs in Nepal, but ended up opening a fine dining of his own. “With a degree in hospitality and experience in the trade, I applied to several hotels after coming back to Nepal. But they merely devalued my expertise, so instead I opened up a fine dining of my own,” said Shrestha. In course of setting up the restaurant, he had to revamp his menu as his initial theme did not go well with the taste of Nepali customers. His restaurant is now popular due to the Nepali cuisine and live music. Like Sanjeev, there are times when the entrepreneurs need to revise and reset their businesses. Chandan Kayestha, owner of Roadhouse café was brought up in Thamel, the tourist hub of Kathmandu. He started Roadhouse Café in Thamel six years before he went to Austria for a course in hotel management. Upon returning to the country, he expanded his business. The food service industry in Nepal seems to be adapting the western culture in the course of its evolution. 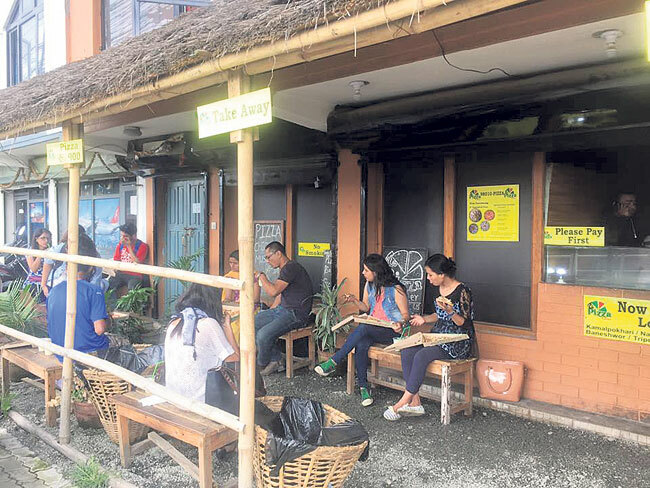 The trend of ‘eating out’ itself is burrowed from the western culture, which is popular amongst the Nepali youngsters. Service charge is another western thing that the Nepali restaurants have adopted. A formal service charge has replaced the traditional voluntary tips in many restaurants around town. Roadhouse café and The Pizza Cutter even deliver food to their customers’ doorsteps. It is a new service that did not exist in Nepal in the past. Besides the quality of food and service delivery, eateries in the valley are competing to attract more customers with unique exterior as well as interior designs. These and many more new ventures in the restaurant industry are indicative of a possible new trend of entrepreneurship in Nepal - eateries with novel, trendy themes and authentic food, with foreign touch. Let’s hope good times are ahead for the food lovers of Nepal.